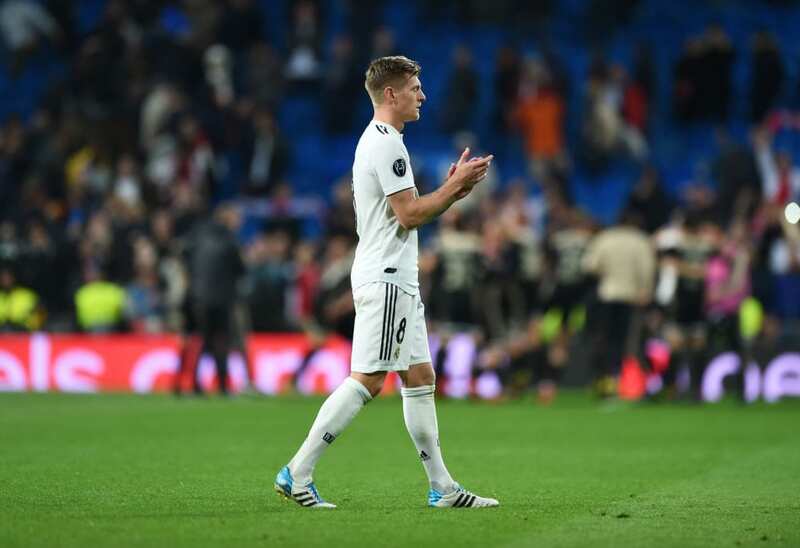 Real Madrid manager Zinedine Zidane says no player will be able to match Cristiano Ronaldo’s feats at the club and he also refused to confirm his plans for Toni Kroos. The task of replacing Ronaldo, who scored a club record 450 goals in 438 games, has seemingly proven to be an impossible one for Real. The Spanish giants have notably struggled on the pitch. In comparison to last season’s tally of 77 goals in 31 La Liga matches, Real have only found the net 55 times in the same number of games. Former manager Fabio Capello even declared that defenders no longer fear Los Blancos since Ronaldo left for Juventus. Paris Saint-Germain stars Neymar and Kylian Mbappe along with Chelsea’s Eden Hazard have been frequently touted as potential replacements for the five-time Ballon d’Or winner. For Zidane, though, nobody will be able to emulate all that Ronaldo achieved at the Santiago Bernabeu. Therefore, the Frenchman insists it’s futile to look for a replacement. “Cristiano’s situation is one that we can’t change, he’s gone. 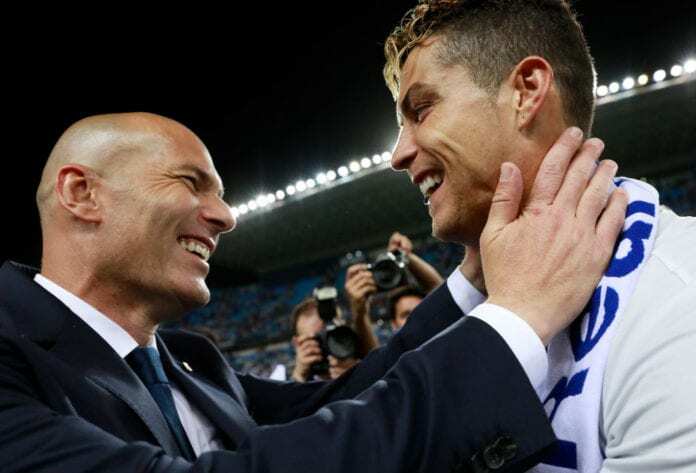 We can sign any player and whoever comes in won’t do all that Cristiano did,” said Zidane on the club website. “He’s now in another chapter in his career. I’m tired of repeating myself because we’re not going to win anything at the end of this season. But we are going to try and finish strongly. Meanwhile, Toni Kroos’ future has been up for debate over the past week. The German has already denied claims he’s planning on leaving this summer as “absolutely false”. But Real are plotting to bring in some big names in the upcoming transfer window. Premier League midfield duo Paul Pogba and Christian Eriksen have both been strongly linked with moves. This could potentially restrict Kroos’ minutes on the pitch, with the 29-year-old struggling to find his best form this season. While admitting he’s a fan of the Germany international, however, Zidane didn’t confirm if he will stay at Real. “He’s a very good player and a key one,” said Zidane on Kroos. “I’m not the only one who says that, he’s been here for five seasons and has done some really good things during that time. The 46-year-old added: “All of the players that are here are good and important ones. The only thing that I’m going to say is that there will be changes. “Because those changes won’t be made now but at the end of the season means that all will be revealed then.